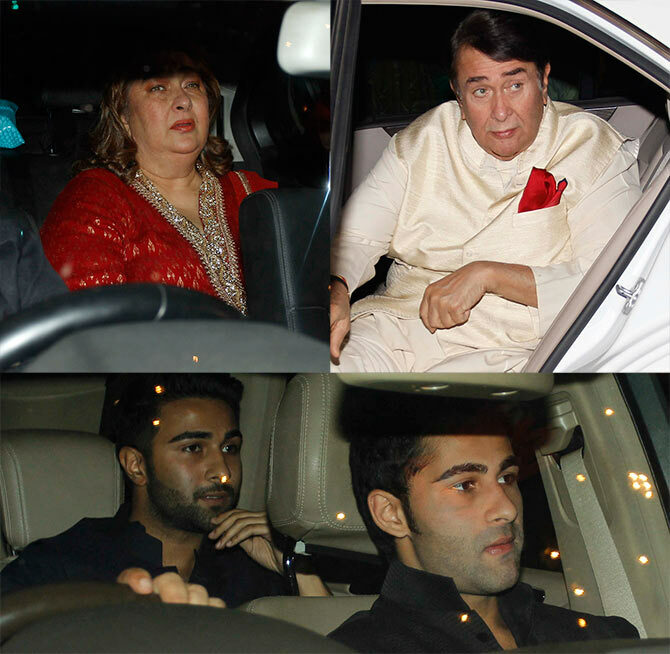 The Bachchans are known for their lavish Diwali parties, where everyone is invited. And *everyone* was invited at their residence Jalsa, in Juhu, in the western suburb of Mumbai, on November 12. A look at the pictures. Abhishek Bachchan and Aishwarya Rai look resplendent, as they welcome the guests. 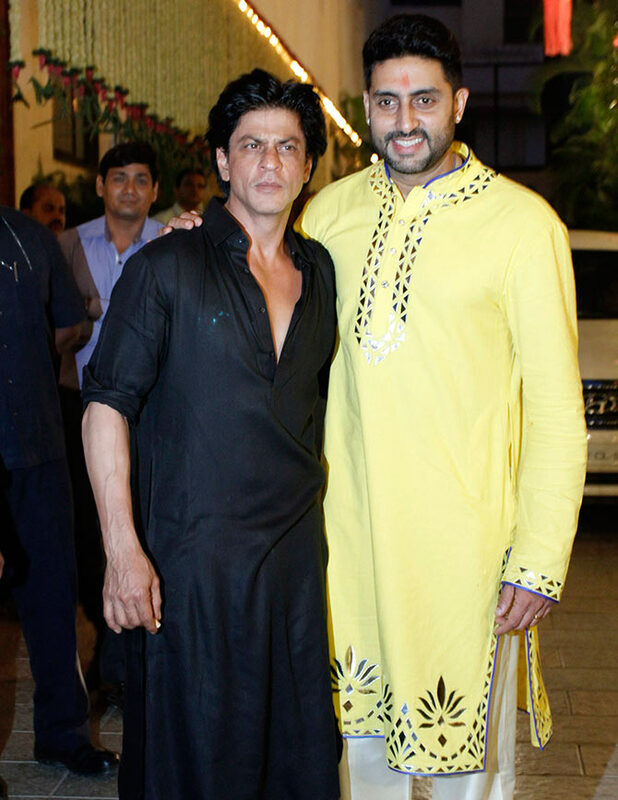 Abhishek welcomes his Happy New Year star Shah Rukh Khan. Shatrughan Sinha has worked with Amitabh Bachchan in several films like Kaala Patthar, Dostana and Shaan but differences soon cropped up between them. More recently, however, they seem to have patched up, and even party with each other from time to time. 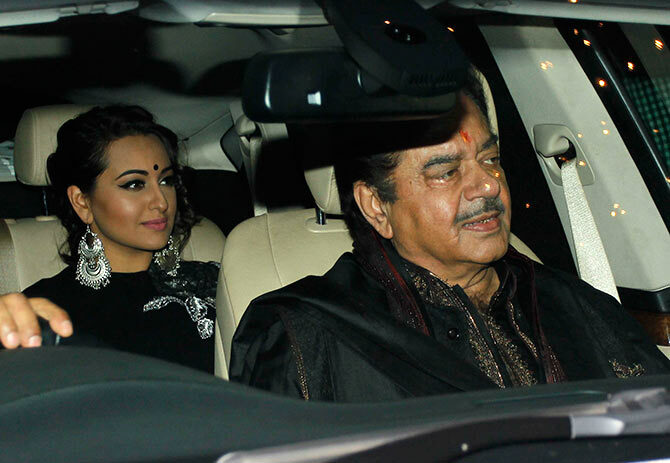 Here, Shatru is seen with his daughter Sonakshi. 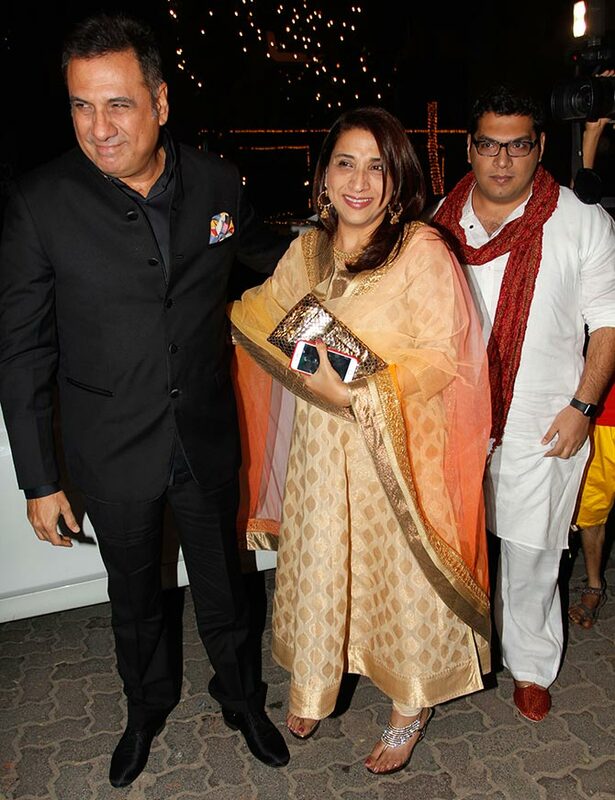 Boman Irani arrives with wife Zenobia and son Kayoze. Kangana Ranaut looks gorgeous in green. Aditi Rao Hydari looks like the diva she is. Abhishek's Bol Bachchan co-star Prachi Desai looks pretty in pink. Malaika Arora Khan, who recently holidayed in Greece, wears desi clothes for the party. Sonam Kapoor looks like she stepped out of the Prem Ratan Dhan Payo sets, and into the Bachchan home. 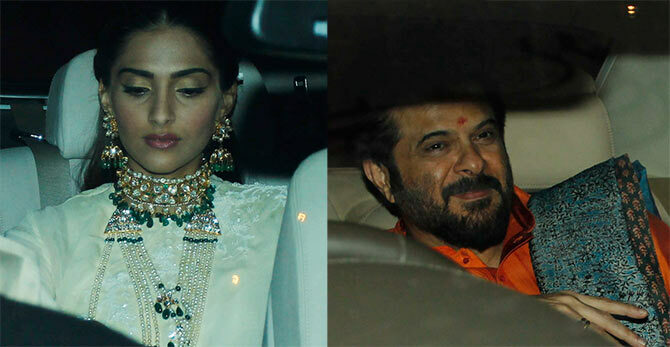 She is accompanied by her father Anil Kapoor. 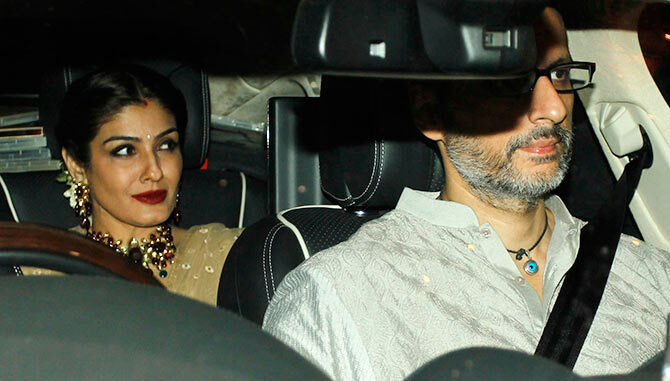 Raveena Tandon arrives with husband Anil Thadani. 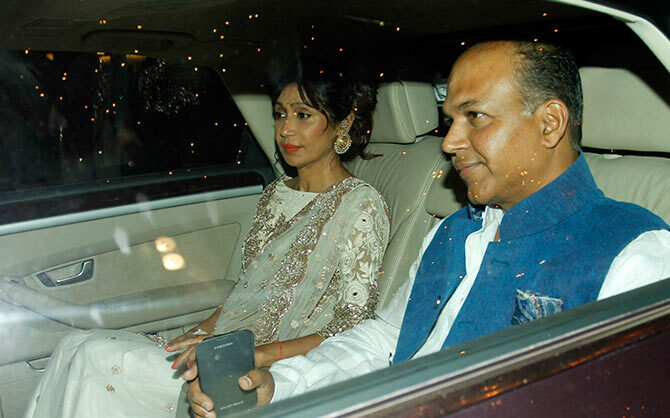 Ashutosh Gowariker arrives with wife Sunita. 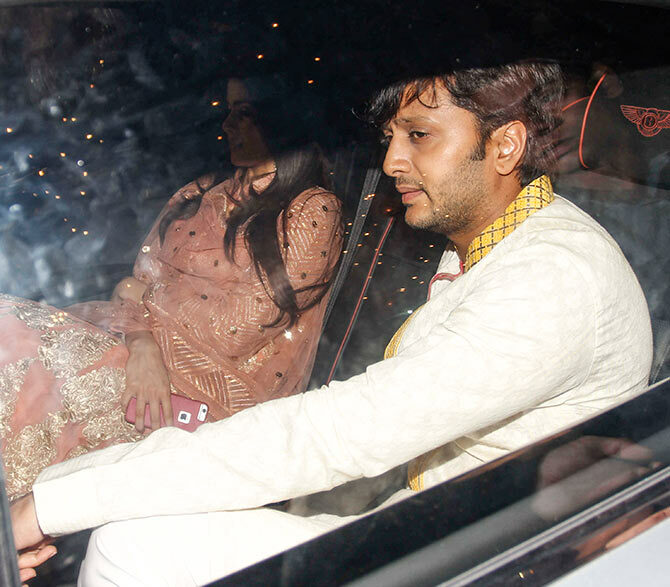 Riteish Deshmukh and wife Genelia. 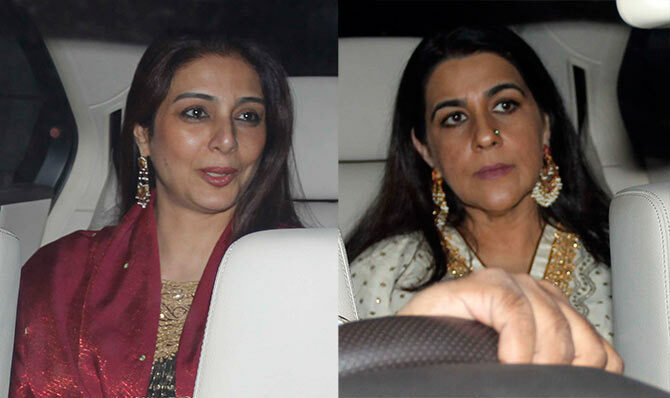 Tabu and Amrita Singh arrive together. Shabana Azmi steps out of her car. 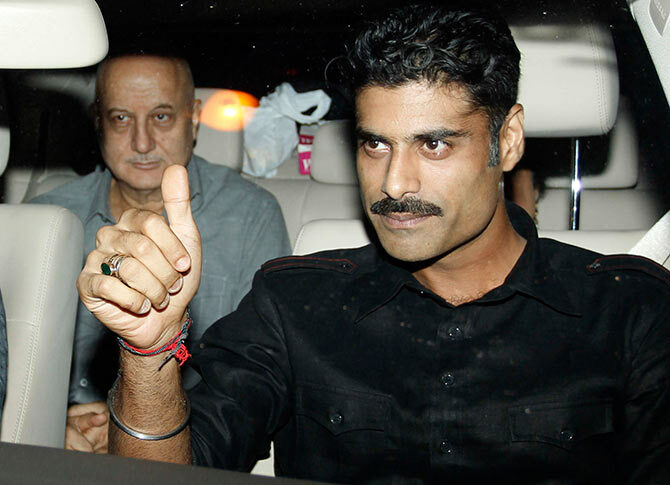 Anupam Kher arrives with son Sikander. Sikander is Abhishek's childhood friend. 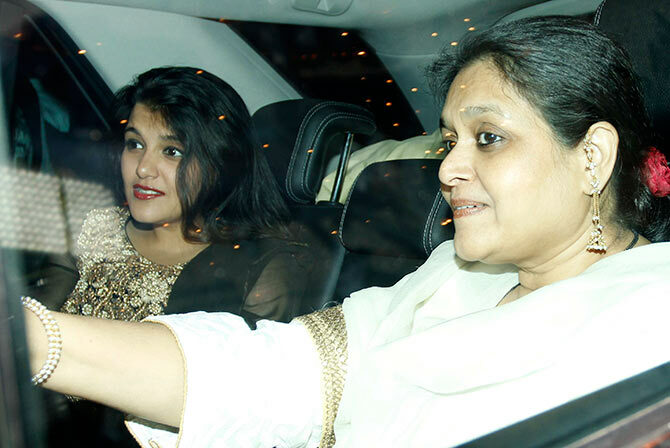 Supriya Pathak arrives with daughter Sanah, who made her debut in Shaandaar recently. 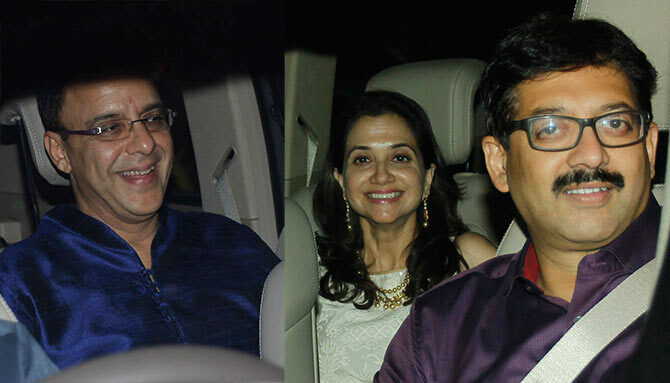 Vidhu Vinod Chopra arrives with wife Anupama and scriptwriter Abhijat Joshi. Bhushan Kumar with wife Divya Khosla and son Ruhaan. 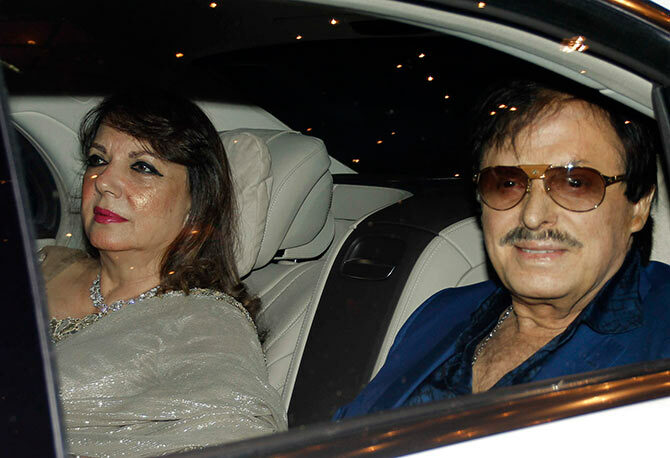 Sanjay Khan escorts wife Zarine. Sophie Choudry shows off her unique jewellery. 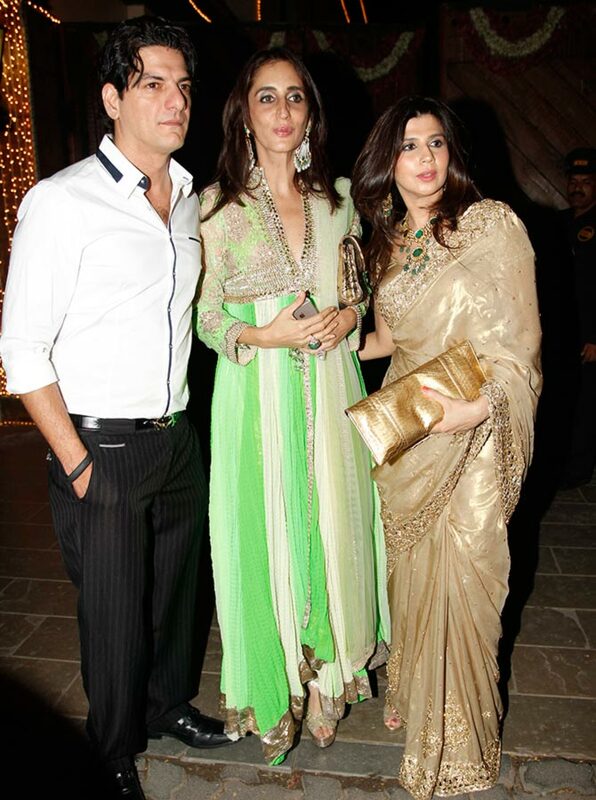 DJ Aqeel accompanies his wife Farah Ali and sister-in-law Simone Khan. 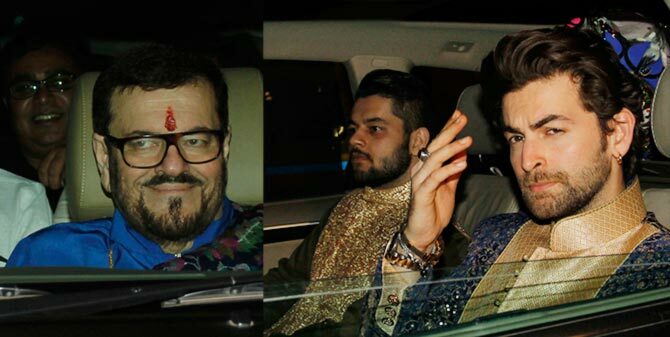 Nitin Mukesh arrives with sons Neil and Naman. Randhir Kapoor colour coordinates with sister Reema Jain. Also seen are hersons Armaan and Aadar. 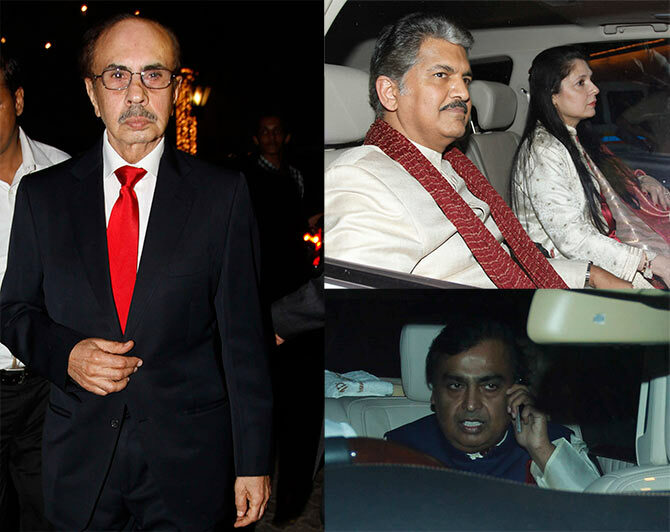 Business tycoons Adi Godrej, Anand Mahindra and Mukesh Ambani. 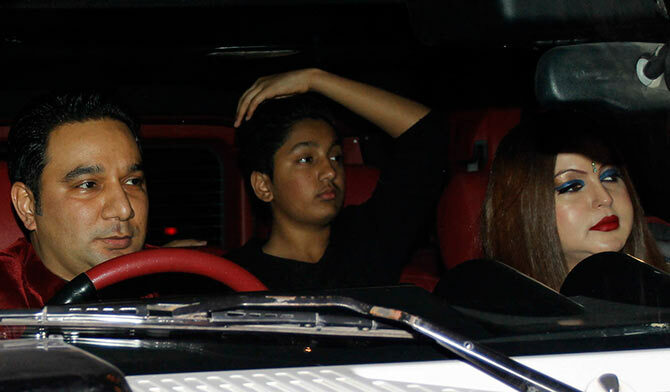 Choreographer-director Ahmed Khan arrives with wife Shaira and son Azaan. 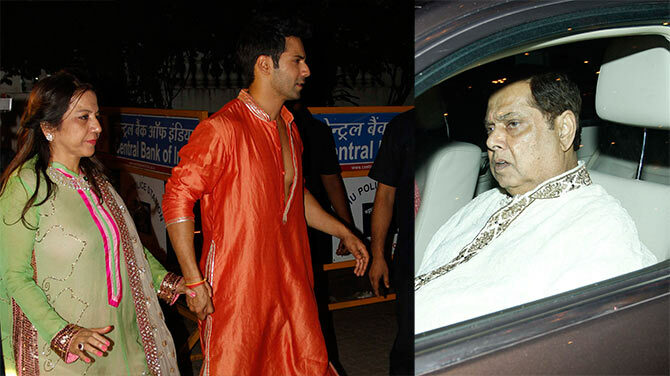 Varun Dhawan escorts his mother Karuna, while David Dhawan follows. 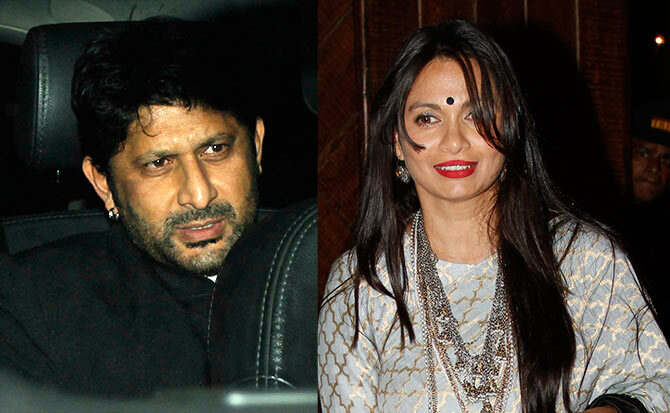 Arshad Warsi and wife Maria Goretti are spotted. Real estate tycoon Sunny Dewan with wife Anu. 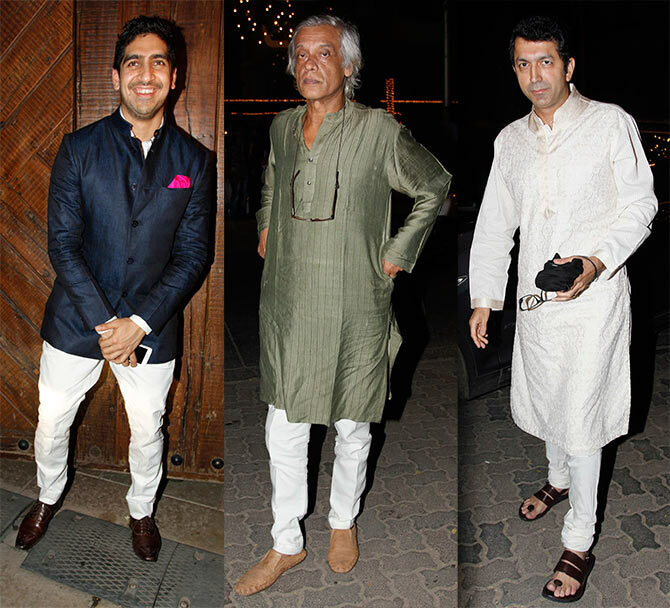 Directors Ayan Mukerji, Sudhir Mishra and Kunal Kohli. R Madhavan arrives with his wife Sarita Birje. And that's not all! More pictures coming up! Dress like Malaika, Deepika, Sonam this Diwali!